"Jeopardy!" host Alex Trebek said he has been diagnosed with advanced pancreatic cancer but intends to fight the disease and keep on working. In a video posted online Wednesday, the 78-year-old said he was announcing his illness directly to "Jeopardy!" fans in keeping with his long-time policy of being "open and transparent." He's among 50,000 other Americans who receive such a diagnosis each year, Trebek said. Normally, the "prognosis for this is not very encouraging, but I'm going to fight this, and I'm going to keep working." Trebek said he plans to beat the disease's low survival rate with the love and support of family and friends and with prayers from viewers. Alex Trebek, the longtime host of "Jeopardy!" said Wednesday he has pancreatic cancer. He lightened the difficult message with humor: He said he must beat the odds because his "Jeopardy!" contract requires he host the quiz show for three more years. "So help me. Keep the faith and we'll win. We'll get it done," he said, his voice calm and steady. Trebek, a native of Sudbury, Ontario, Canada, has been host of the syndicated quiz show since 1984. He and his wife, Jean Currivan, have two children. Ken Jennings, a longtime "Jeopardy!" 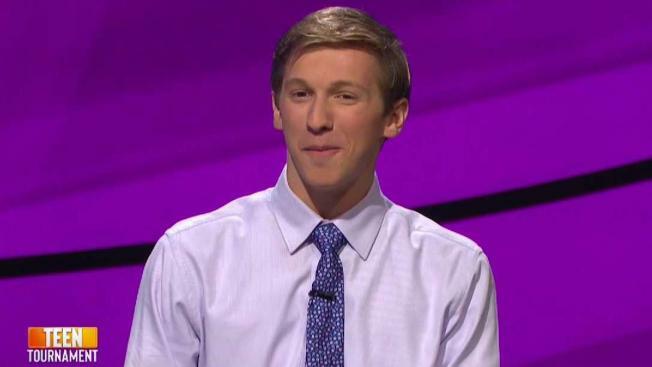 player who took part in the show's "All-Star Games" that ended Tuesday, posted a tweet in which he compared Trebek to the late TV journalist Walter Cronkite. "I've said this before but Alex Trebek is in a way the last Cronkite: authoritative, reassuring TV voice you hear every night, almost to the point of ritual," Jennings wrote. Trebek has gone online before to get out word about his health. In January 2018, he posted a video announcing he'd undergone surgery for blood clots on the brain that followed a fall he'd taken. The show was on hiatus during his recovery. In 2007, he was hospitalized for about a week after suffering what was described as a minor heart attack. The show has yet to bring in a substitute host for him — save once, when he and "Wheel of Fortune" host Pat Sajak swapped their TV jobs as an April's Fool prank. In a Twitter post, Sajak wrote "there is no one I know who is stronger and more determined, and I would never bet against him. We, and the entire country, are pulling for you, Alex." Trebek, the smoothest of TV game show hosts, admitted to a case of nerves during rehearsals in January for the show's first-ever "All-Star Games," a team-play tournament that made new demands on its host. "This will probably start me drinking again," he joked. Although Trebek had publicly toyed with the idea of retiring, he instead renewed his deal in 2018 with Sony Pictures Television for three more years, through the 2021-22 season. In the January set interview with The Associated Press, Trebek discussed his decision to keep going with "Jeopardy!" "It's not as if I'm overworked — we tape 46 days a year," he said. But he noted he's been working on TV for more than 50 years and was, as he put it, "78-and-a-half now. I'm slowing down." "It's logical to start thinking about retiring," he said. "And I will someday, when I feel I've lost enough of my abilities and am messing up a little too much, or it's no longer any fun." "And it's still fun," he said. Trebek, who holds a philosophy degree from the University of Ottawa, was a TV and radio reporter for the Canadian Broadcasting Company before moving to the United States. He became a U.S. citizen in 1998. He's won five Emmys as best game show host and received a lifetime achievement award from the TV academy in 2011. Created by entertainer-producer Merv Griffin, "Jeopardy!" debuted as a NBC daytime show in 1964 with host Art Fleming and ran for more than a decade before going into syndication. The version with Trebek shifted the show largely into early evening slots.